Washpool Soaperie at Ballandean, Queensland has been handcrafting natural body and bath products for almost a decade. Our popular shop and tourist destination stocks a range of environmentally friendly products and gift ware. These products are all in line with owner Melissa’s focus on ethical, authentic, sustainable and environmental living. Visit us at our physical store in Ballandean or shop our range online. 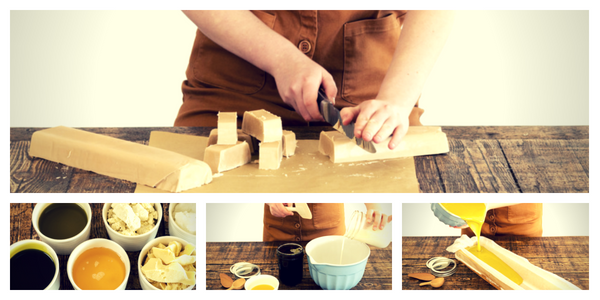 Soaps made from scratch on site, from the highest quality ingredients. Whether you visit us at our store in Ballandean or online, we look forward to serving you. From the moment you walk into our store or open your package you’ll notice the natural scent of products made with all natural ingredients. The core purpose of Washpool has always been to handcraft soap of exceptional quality, using traditional methods. All our soaps and skincare products are carefully crafted on site, from scratch. Since opening our store almost ten years ago, we have introduced more everyday basics, in line with our natural, healthy, down-to-earth philosophy. Although we call our products ‘basics’ they are most definitely a treat for the senses, as they work to gently cleanse, soothe, soften and comfort your skin. Perfect for self care, natural family basics or gift giving. We value traditional principles of authenticity, integrity and honest, but we also like to take old ideas and turn them on their head. We have deliberately chosen to be an inclusive rather than exclusive brand. What does that mean? Well, we are here for people, like you, who are looking for wholesome products that do their job and are also environmentally friendly. And while our ingredients are certainly luxurious, we believe that healthy skincare should be an affordable luxury. We are makers who love nothing more than matching what we make to your unique needs. We believe health comes first and beauty follows. Our clients value authenticity, simplicity and purity. Just like you, we don't want to use every type of ingredient or recipe just because it's available to us here at Washpool Farm Soaperie. Drawing on our wealth of knowledge, we choose instead to make choices about what we strongly believe will bring better health and pleasure to ourselves and those who use our body products. This means that we make very careful choices about the ingredients included in the formulations of our natural soap. Wherever possible, we choose to source our ingredients locally, often direct from the growers. When we purchase ingredients from further afield we place great emphasis on using ethical, organic, fair trade and sustainably produced raw ingredients. What we leave out: Sulphates; Tetrasodium EDTA, Artificial Colours, Parabens, Phthalates, Mineral Oil, Palm Oil** and Palm Oil derivatives. What we put in: Cold pressed edible oils, butters and milks. Extracts, infusions, activated and whole botanicals along with clays, honey, fruit and vegetables. Basically, ingredients you can recognise, most of which are edible. Find out more about our ingredients. Our neighbour, Margaret & her goat Ettie provides the milk we use in our Goat's Milk Soaps. Our range includes mild and creamy soaps that are comforting to overloaded senses and delicate skin, made with highest quality natural ingredients. Some of our most popular products include goat’s milk and unscented soaps that are suited to people with a range of allergies, sensitivities and skin ‘problems’. We offer regular soap making workshops on site. You will learn how to make your own soap from scratch using readily available ingredients and equipment. Find out more about upcoming workshops. We believe in being small enough to listen and being big enough to deliver. We believe in hand made and we take pleasure in providing meaningful employment to people living in our rural community. Would you like to learn more about the Soaperie? Contact us today.